ELEVAGE: Hand picked grapes were foot crushed and destemed and allowed to macerate for 2 days before being bucketed into a half-ton bladder press. Settled juice was pumped into stainless steel to ferment by ambient yeasts. After 19 months the wine was racked off its lees and gravity bottled by hand without fining or filtration. TASTING NOTE: Very subtle wine with petrol, yeast and lime. Fine balance and true riesling. ELIZABETH'S VINEYARD: Located in Hector, New York on the eastern shore of Seneca Lake, this twenty-seven acre vineyard is composed of shallow loam soil over shale on a slope leading to some of the lake's deepest waters. Among the pinot noir, cabernet franc and riesling, grower John Leidenfrost also maintains blocks of spur pruned cabernet sauvignon and chardonnay over a quarter century old. 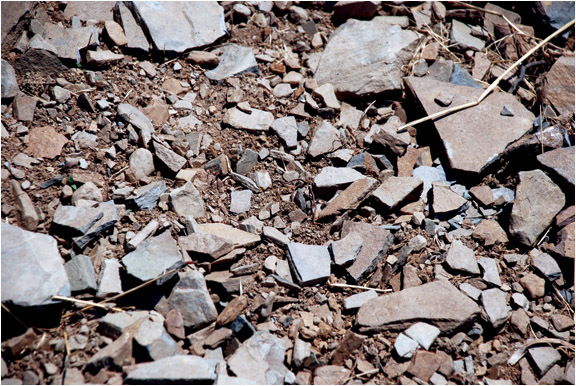 This vineyard's privileged exposure and thin, shale laden soil produces wine of great depth and backbone. Tilled up "soil" during some new planting at Elizabeth's Vineyard.